Dr Paul Lam There are many similarities between Tai Chi and Kung Fu. Kung Fu practitioners will find that practising Tai Chi complements and enhances their skills in Kung Fu. They can use a program I have especially designed to introduce martial artists to Tai Chi. There are many similarities between Tai Chi and Kung Fu. Kung Fu practitioners will find that practising Tai Chi complements and enhances their skills in Kung Fu. They can use a program I have especially designed to introduce martial artists to Tai Chi. Tai Chi in the official Chinese Pin Yin is known as Taiji, and its proper name is Tai Chi Chuan (taijiquan). Chinese words that end in quan or Chuan (which means ‘fist’ in Chinese) are a form of martial art. Tai Chi is a philosophical term in Chinese and means ‘supreme ultimate of ultimates’. The original Chinese meaning of Kung Fu is a skill that requires much practice. For example, when a martial artist has practised a lot, it is often said that his Kung Fu is very good. I think it is because of this that in the western world Kung Fu is mistaken for the name for Chinese martial art. If you follow the true meaning of Kung Fu in Chinese, anybody who develops great skill at something is said to have good Kung Fu. For example I often told my Chinese tailor his Kung Fu is great in making my Tai Chi uniform. What people often refer to as ‘Kung Fu’ is really ‘Wushu’. ‘Wu’ is the art of fighting and ‘shu’ is the skill involved in the art of fighting. You will find this term becoming increasingly accepted in the martial arts world. For example, the World Wushu Championship is endorsed by the official bodies of many countries, many of which have Kung Fu as part of their name. The Australian Kung Fu Wushu Federation was previously known as the Australian Federation of Kung Fu Organisations. The meaning of all these terms is evolving all the time, which may lead to confusion for some people. However, for the moment, the meaning of Tai Chi and Kung Fu is generally well understood. My own opinion is that it doesn’t really matter what name is used: it is what it has come to mean that is most important. That is why I prefer to use the term ‘Tai Chi for everything – it saves confusion. So what is Tai Chi? In the Chinese martial arts world, there were two broad streams, one called the ‘hard school’ such as the Shaolin style and the Southern Fist style, and the ‘soft school’ represented by Tai Chi, Xingyiquan and Baguaquan. There are differences between these two streams. The hard school places more emphasis on strength training and speed. This style tends to have block attacks and strenuous punches, and the faster and stronger competitor will win. The soft internal school places emphasis on building internal strength. Its movements are softer, often curved as in Tai Chi, and fundamental to it is the concept of dissolving and absorbing and delivering force powered by internal force. In my experience however, many of the so called hard schools also teach Qigong training, mental training and much internal training. Similarly, many of the internal schools openly, or not so openly, train students at lifting and punching – the more traditional hard school style of training. So I think the distinctions between internal and external, and hard and soft schools are really arbitrary and usually based on which of these aspects more emphasis is placed on. Tai Chi is of course one of the best known Wushu or Kung Fu. However, Kung Fu, in many people’s minds, is synonymous with the hard school and because Tai Chi is generally practised for health they believe it cannot be included in it’s training program. In this article I am going to use the term Kung Fu to mean mostly the hard school. On this basis, I believe that there is a lot of similarity between Kung Fu and Tai Chi. Firstly, the original purpose of these arts was as martial arts, that is, they taught the art of fighting. Basically, the aim of fighting is to win the fight by injuring or controlling your opponent without injuring yourself. All disciplines of the martial arts aim to train you to use your body strength to seek out your opponent’s weaknesses and so win the fight. So, if their objectives are the same, different types of Wushu are bound to have lots of similarity in their training methods – training which improves mental focus, improves the spirit, and shows you how to take advantage of your opponents’ weaknesses. Because Tai Chi places great emphasis on breathing, relaxation and improving the power of Qi, mental focus and clarity of the mind, it can be quite beneficial for Kung Fu practitioners to learn it. It is like looking at a picture from different angles: you gain a better perspective. So, if the final aim of the training is the same, if you do a different sort of training, it can be an effective way to make you a more complete martial artist. Of course, nowadays most people do not learn Kung Fu to use in real life and death situations. Most people practice the martial arts for health, as we do in Tai Chi. If you complement your practice of the hard punching, fast kicking style of Kung Fu, with the softer stretching, internal strength style like Tai Chi, it will improve the overall power of your style. The relaxation gained through practising Tai Chi will also help balance the intensity of some of the more vigorous martial art style movements. There are many so many benefits to be gained from practising Tai Chi; you will find it well worth your time trying it out – experiment with it! 5 How to Improve your Tai Chi? 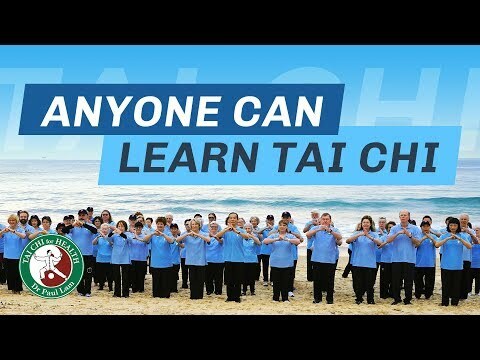 What is the Tai Chi for Arthritis Program?